Shiny new site for a Los Angeles real estate agency. Unique features included neighborhood maps, online forms, open house listings and news filters. 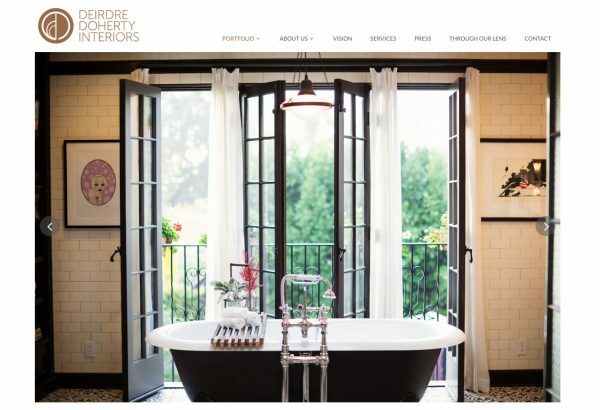 Lovely new portfolio site for interior designer, Deirdre Doherty. 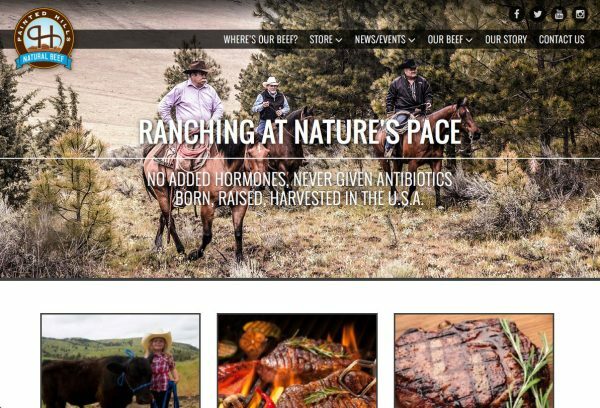 New website and e-commerce store for Painted Hills Natural Beef located in Fossil, Oregon. 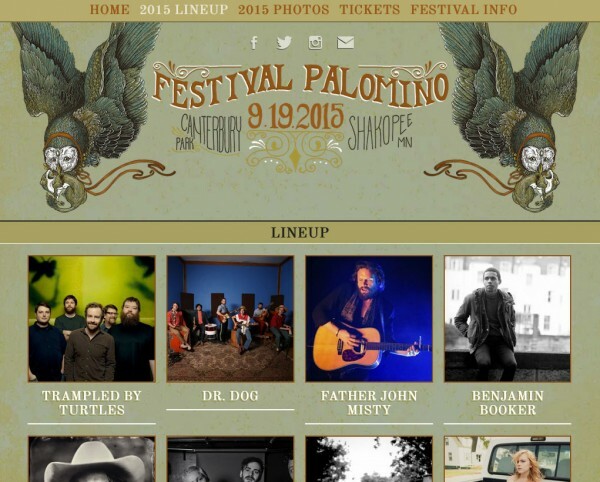 Website for the 2015 Festival Palomino music festival. 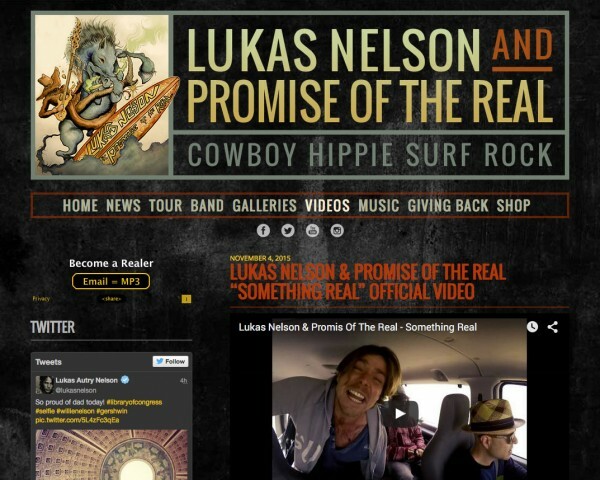 New site for Lucas Nelson and Promise of The Real. 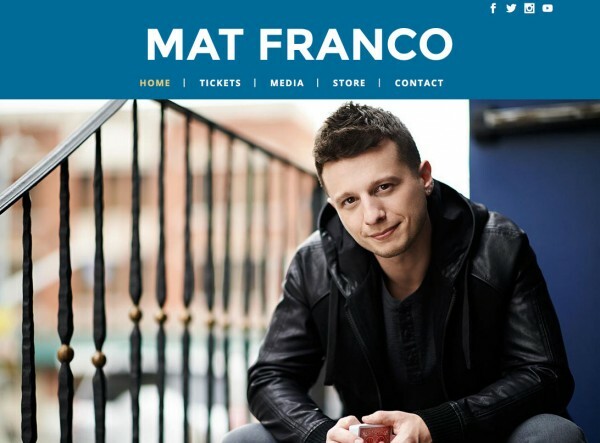 Site featuring the talents of magician Mat Franco. 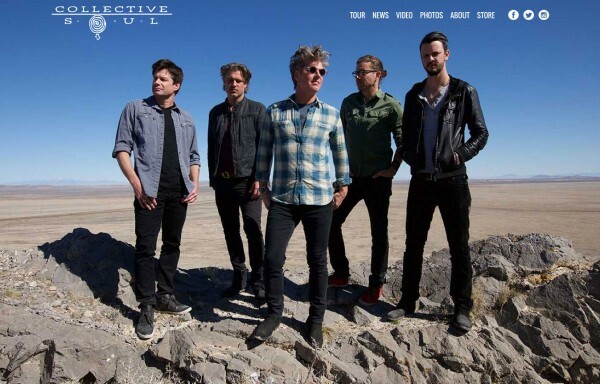 A fresh new site for Collective Soul. 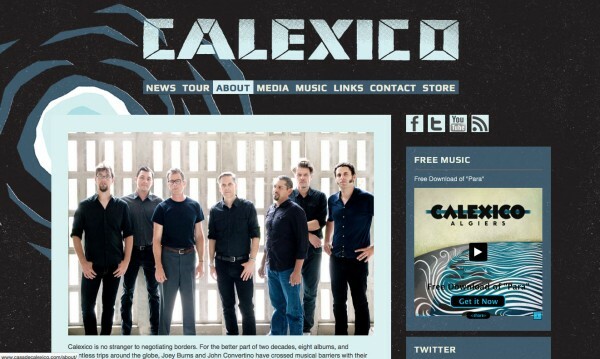 Calexico’s new site features a responsive design based on the artwork from their latest album, Edge of The Sun. 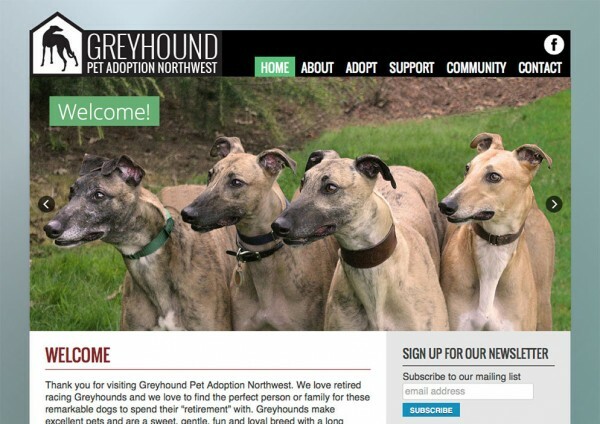 New website and logo for an all-volunteer organization dedicated to finding forever homes for retired racing greyhounds. Additional projects for GPANW include posters, postcards, t-shirt graphics, online forms. 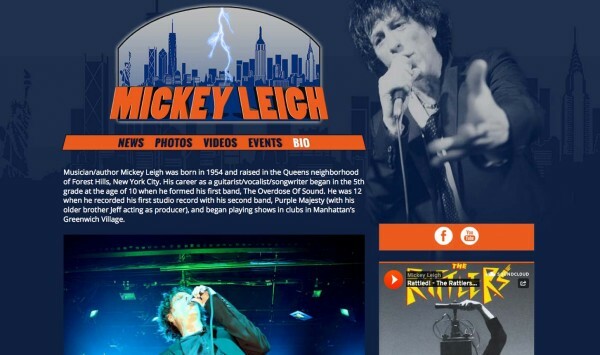 New site for musician Mickey Leigh. Responsive layout and WordPress CMS. Client-provided logo. 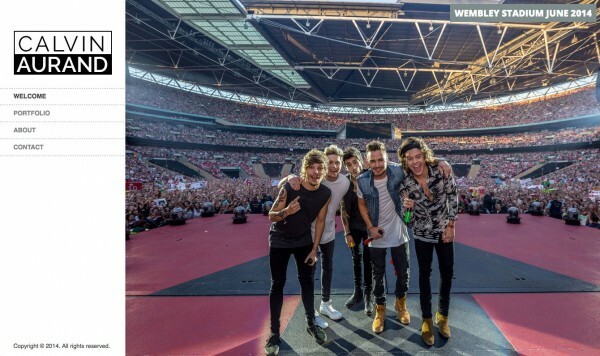 Site showcasing the work of Calvin Aurand, official photographer for One Direction. Custom logo design for Aurand’s production company, Upper Falls. 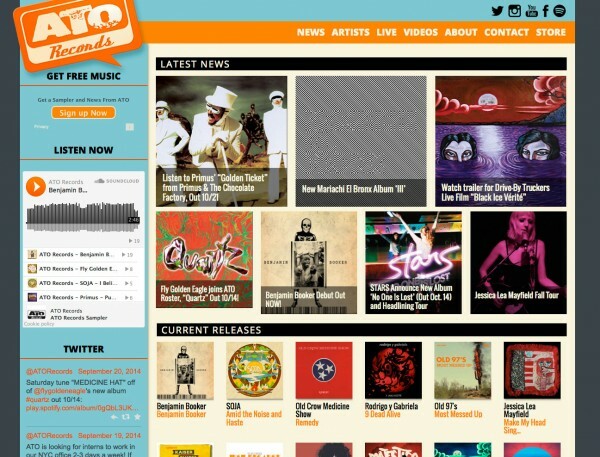 A colorful energetic site design for ATO Records. WordPress CMS and responsive theme, makes the site dynamic and easily updated by the ATO staff. 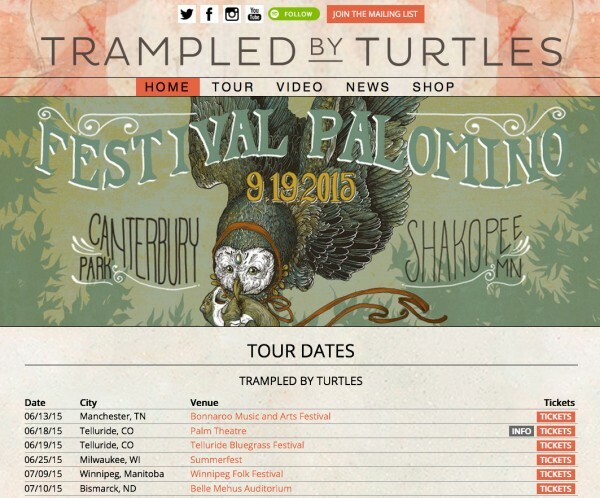 Updated site design and theme for Trampled By Turtles featuring artwork from their new album, Wild Animals. 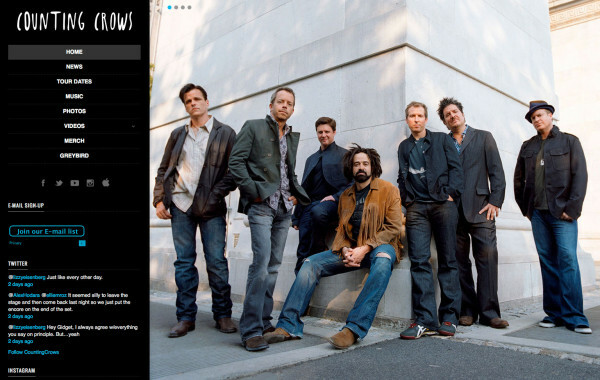 New site for Counting Crows. Responsive layout and WordPress CMS. 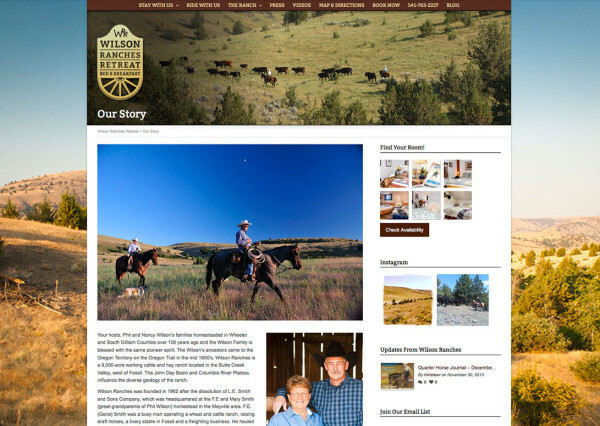 New website, logo and print ads for Wilson Ranches Retreat, an authentic working ranch resort near the town of Fossil, in Eastern Oregon. 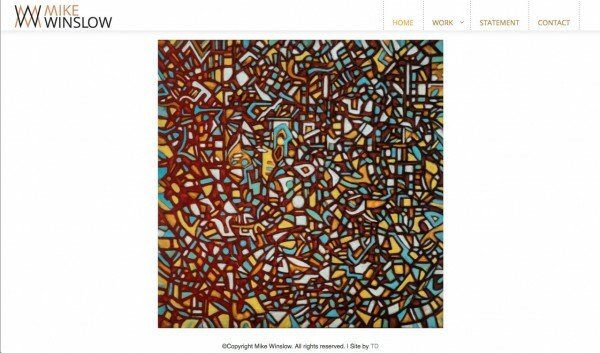 New portfolio website to showcase the paintings of artist, Mike Winslow. Responsive design and WordPress CMS. Site for Jerry Garcia commissioned by his family, featuring a flowing timeline of his music and art. The interface is intuitive and provides a great showcase of his amazing visual and musical talent. Audio is managed with a custom SoundCloud player, WordPress used for content management. 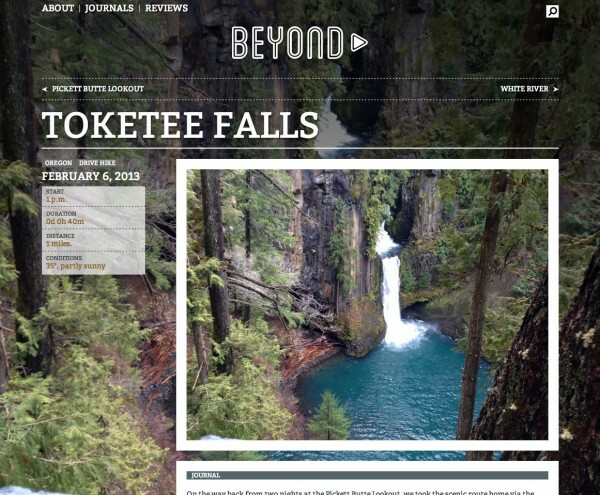 A personal project that document our outdoor adventures “beyond” Third Door. 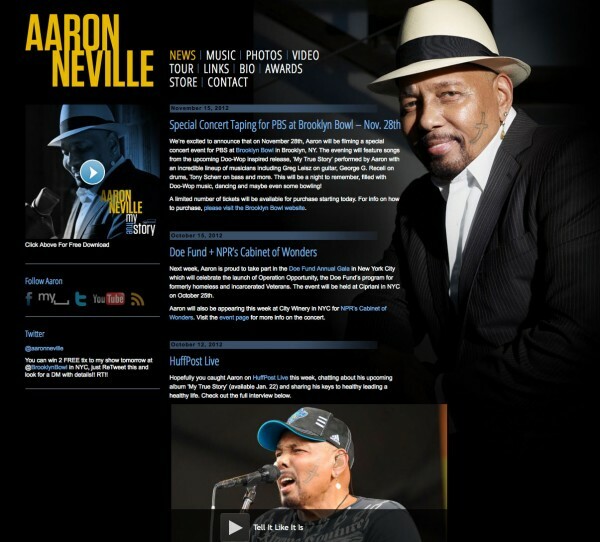 Singer/musician Aaron Neville wanted a improved layout and an easy way to update his website. 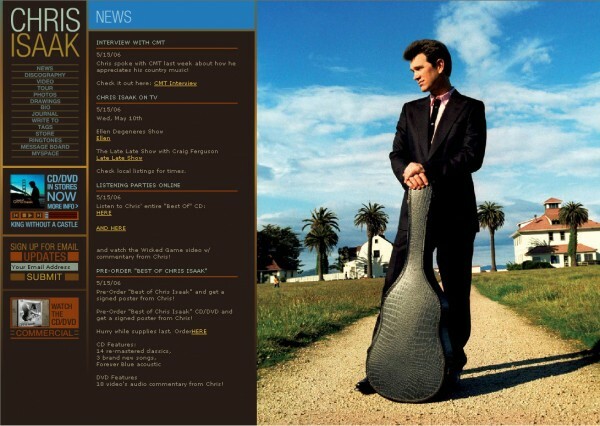 The new design focuses on Aaron and his music. The custom theme and backend makes it easy to use and update too. 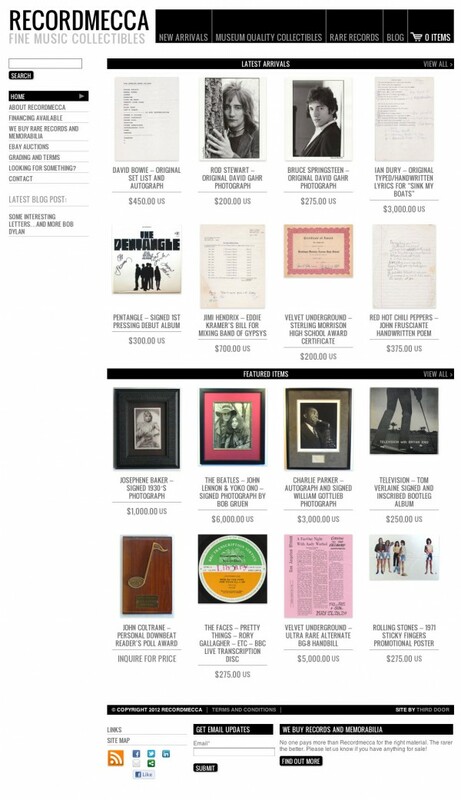 Recordmecca is an amazing treasure trove of music memorabilia and collectibles. 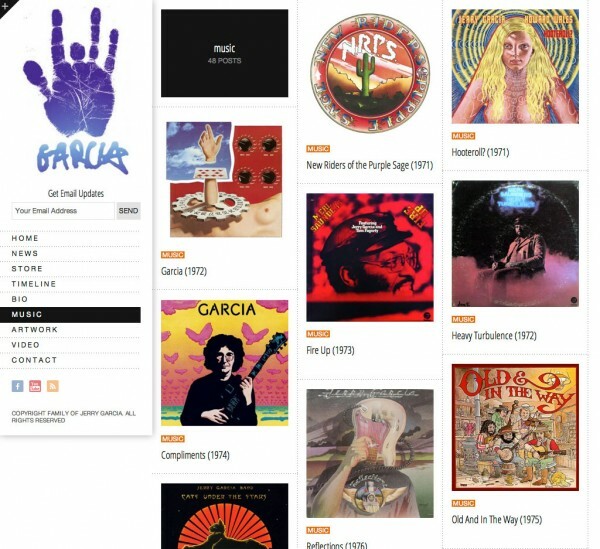 Jeff Gold, the man behind the collection, asked Third Door to revitalize the existing Recordmecca site’s dated look and limited content management system. We set him up with a shiny-new look and migrated all his existing site content (thousands of items! ), and existing blog, into a new WordPress-based system including a sleek new shopping cart. The new design allows the items to take center-stage and streamlines the search process, allowing customers to find what they’re looking for, or simply browse the collection. Maintaining and updating the site content is simple and easy which gives Jeff more time to look for more music industry treasures. Concise, minimal interface allows Joni’s wonderful images to take center stage. Responsive design allows the site to work well on both large monitors and mobile devices. WordPress allows her to easily update the content herself. 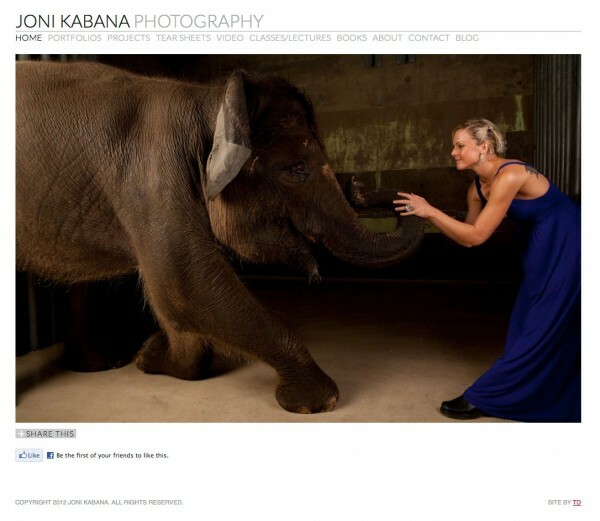 LPGA golfer Samantha Richdale needed a new site that she could update easily and feature Sarah A. Friedman’s beautiful photos. The design is bold and strong with green accents. The site is fluid and responsive, adapting to variable monitor and device widths. 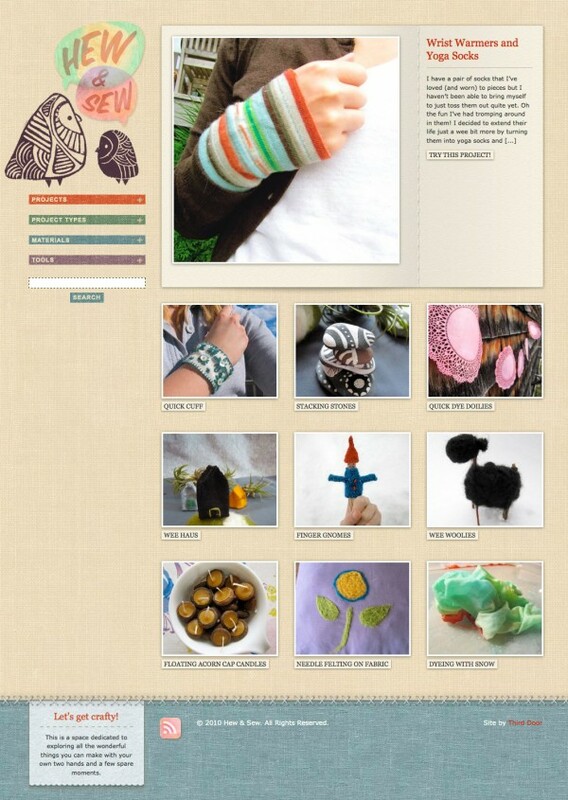 Hew & Sew is a sweet little how-to-craft tutorials website. The design of the site reflects the hand-crafted nature of the content. We also customized the back end of the site to make it easy to enter all the text and images for each tutorial. 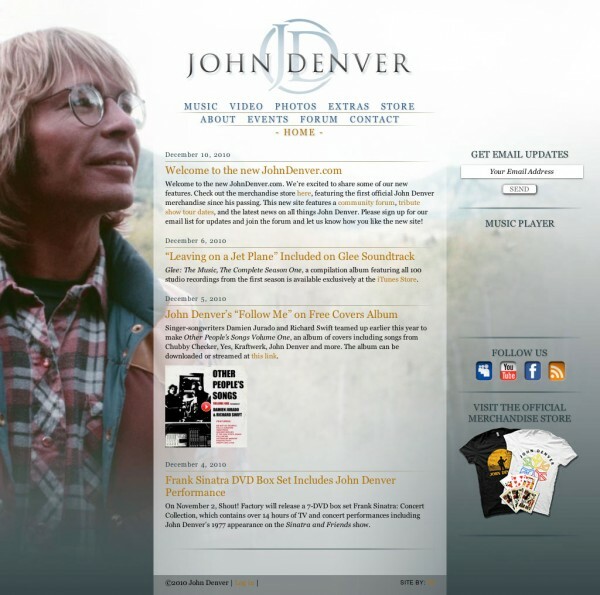 The estate of John Denver asked for a simple, clean new design plus an easy to use content management system. A custom WordPress theme and back end makes the site easy for the client to update. 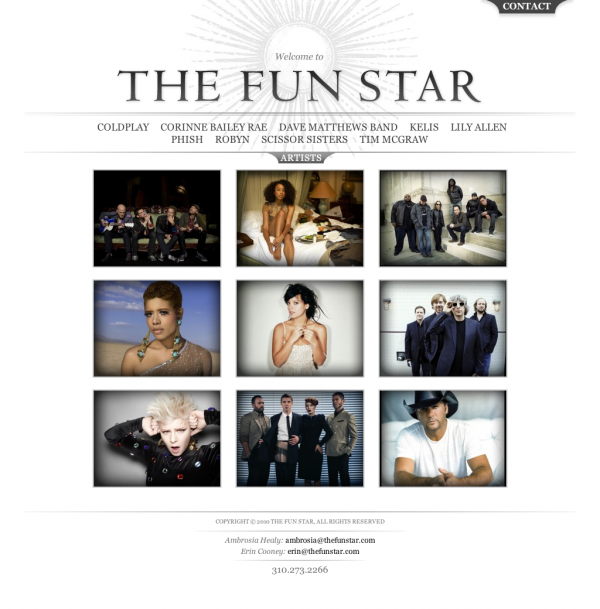 A super-clean, classic look for the music industry PR firm, The Fun Star. They needed a site that would make it easy for the media to find high quality photos, artist bios and latest press releases. We developed a Custom WordPress theme and backend CMS to make the site super-easy for the client to update. 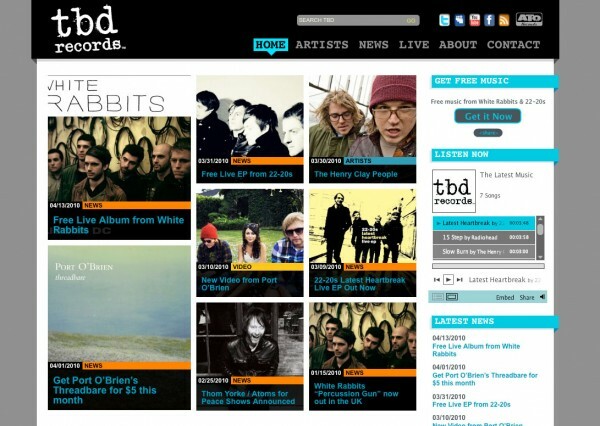 New site for sister site of ATO Records. We leveraged the same custom WordPress theme for the back-end and reworked the design to give the site a familiar-yet-different look. 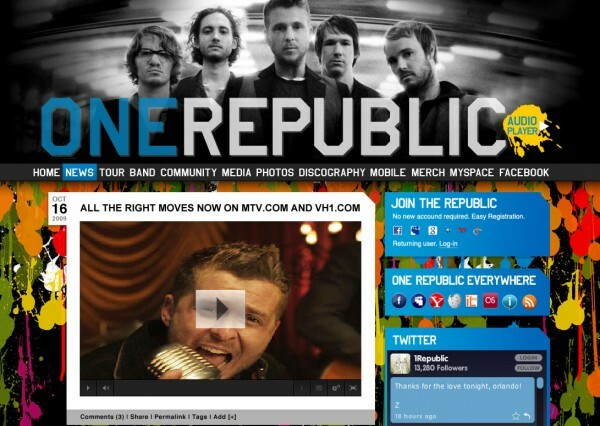 A colorful site design for Interscope Records artist, One Republic, featuring the dripping paint motif from their new album. We designed and programmed the front end, the client integrated our work into their CMS. We also produced a custom iGoogle theme that changes color with time of day. 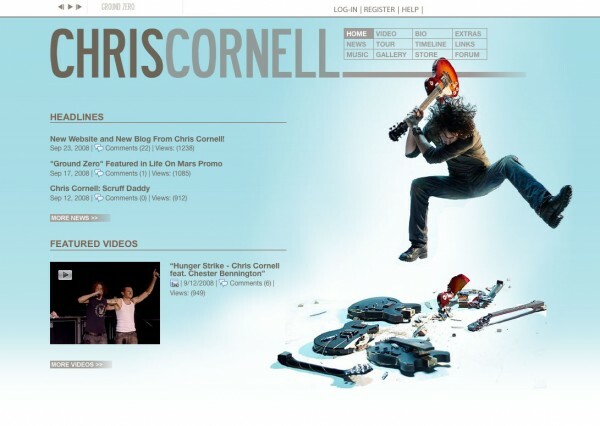 Super-clean site design for Interscope recording artist, Chris Cornell. We focused on the amazing action photos of Chris reducing the world’s guitar supply. We did the front-end design and programming which they, in turn, integrated into their CMS. 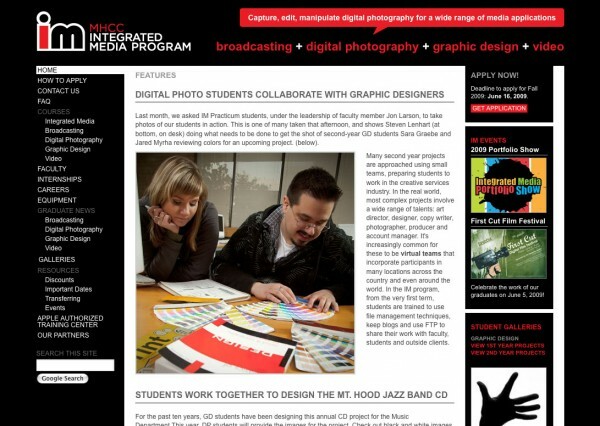 The Integrated Media program at Mt. Hood Community College needed a site to promote their innovative degree. We created a site that allows them to inform prospective students about the program, post announcements, showcase student work and tell alumni stories. 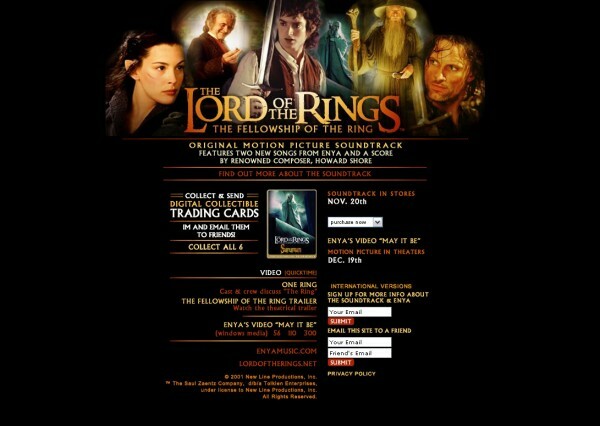 A series of sites for each of the soundtracks for the Lord of The Rings movie trilogy. Each site featured the albums and digital trading cards of characters from the movies. We also created the Annotated Scores, digital books, for each of the Complete Recordings albums. 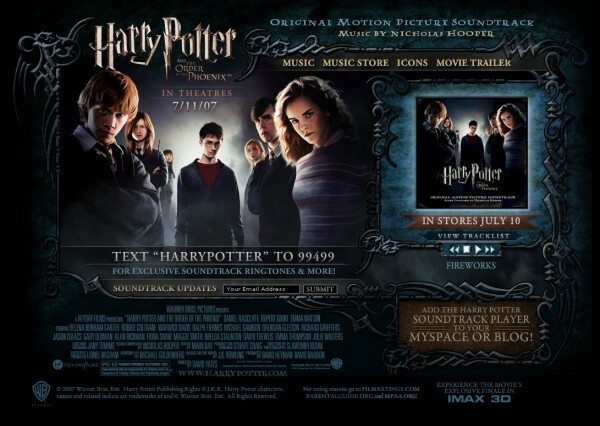 Series of sites for the motion picture soundtracks for the Harry Potter movies, “Goblet Of Fire” and “Order Of The Phoenix”. Both sites feature digital trading cards of the movie characters. 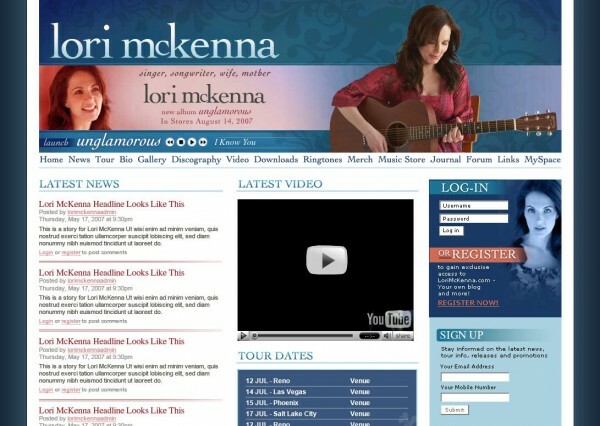 Web site theme for Warner Bros. Music recording artist, Lori McKenna. Design included an animated Flash header with client updateable headlines. 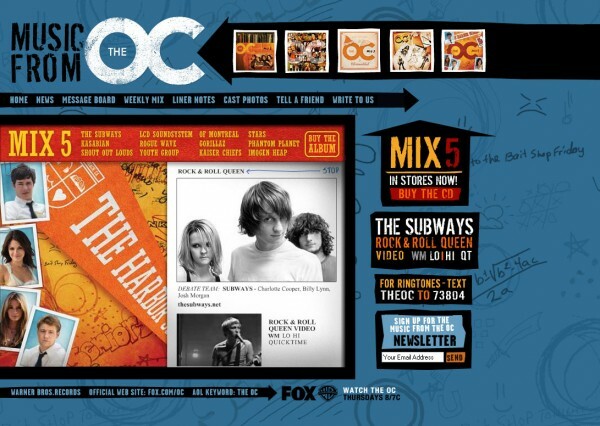 This site showcases a series of albums of music from Warner Bros. Records artists featured on the television series The OC. Each album has a unique identity and the site was updated with a new look as each album was released. Warner Bros. Records artist, Shannon Brown wanted a site that exuded mid-west-farm-country to showcase her new album, Corn Fed. An all-Flash site that links up to the record label’s back-end. 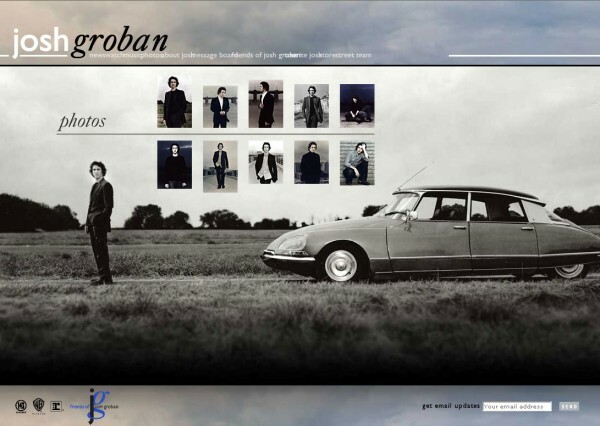 Design for the official fan club of Warner Bros. Records recording artist, Josh Groban. 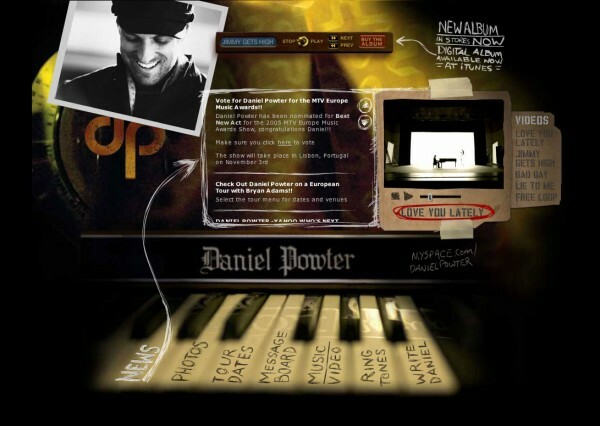 An all-Flash site for Warner Bros. Music artist, Daniel Powter. 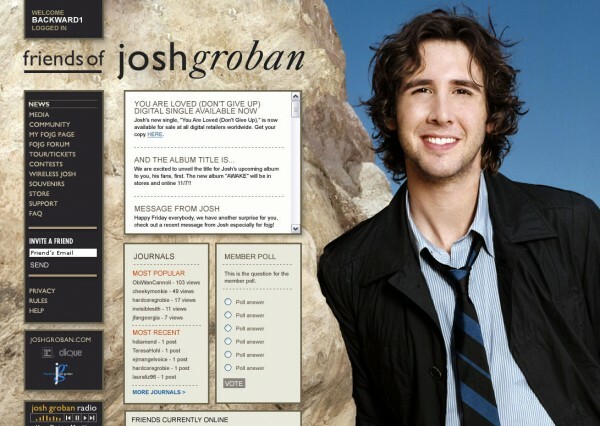 Site for Warner Bros. Records artist Josh Groban. Site design for Warner Bros. Records recording artist, Green Day. 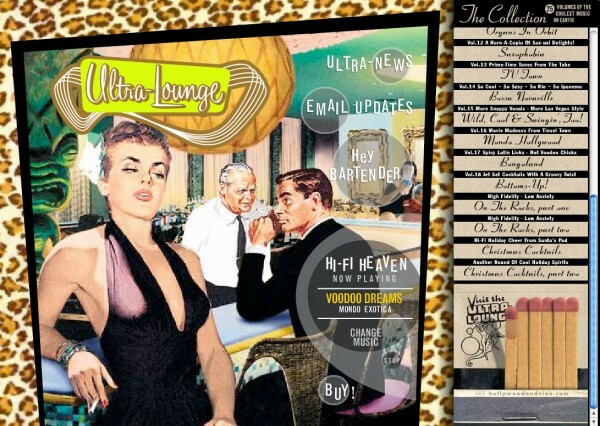 A super-hip flash web site for the Capitol Records ultra-cool Ultra-Lounge series of albums. Even though it’s pretty dated by today’s standards (done in 2002! ), it’s still one of my favorites.